Looking for a USED MWX4-1220? Our fifth-generation MWX4 machine takes waterjet cutting to a new level. 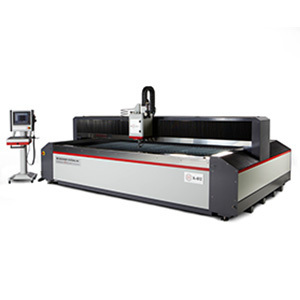 This machine is the ultimate in multi-axis cutting, combining speed and precision for shops looking for accuracy and reliability. The MWX4 introduces our new Taper Control System—a servo motor driven with more A-axis tilt angle and more C-axis rotate angle to allow for even straighter parts in thicker material. 62 ModelsView more about Mitsubishi Heavy Industries,Ltd. Looking to Purchase a New MITSUBISHI MWX4-1220? Advanced Technology Sales & Service, Inc.
Keating Brothers Machinery Company, Inc.
Atlas CNC Makina Tic. Ltd.
Ryosho Machinery (Shanghai) Co., Ltd.